I'd say if you can find a half Ironman program you like and just follow the swims that'd be great! Sounds like you can already do the distance, but 3+ swims a week and you'll start getting faster. The other thing is getting in a few open water swims prior to is ideal. 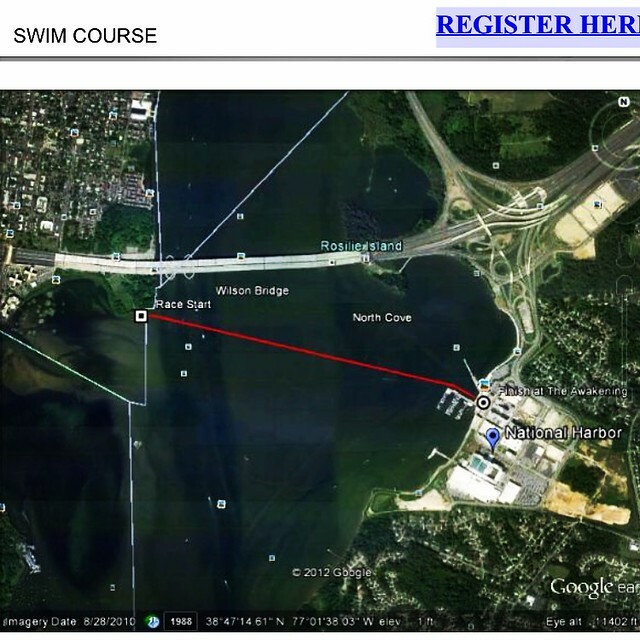 I think they may have some practice swims at the location before the event, so check those out too.